Love! Love love love love love! 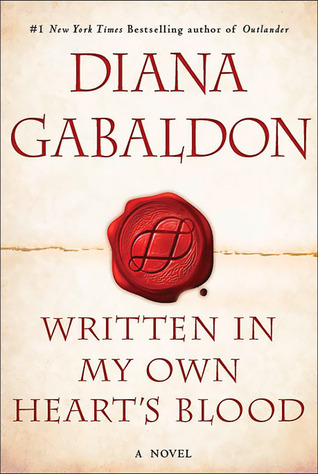 Diana Gabaldon is is genius, Davina Porter has the voice of an angel, it all culminates into a beautiful mixture of bliss. When the last line of the book came, I gasped – aloud, on the street. I kid you not. With audiobooks it’s hard to know when the end is near and I was blindsided. I so, so, so want more! It was perfect and horrible all at one time; mostly because I can’t stand the thought of not having any new Outlander to read. I had only just finished book 7 a few months before this one came out. I don’t know what it means to not have more at my fingertips. Did I mention that I love this? If you’ve made it this far to the series, you’re not going to need to read the reviews. Just know that Gabaldon is a wizard. Or mayhaps a witch.